In the report titled “The State of Mobile in 2019 – The Most Important Trends to Know”, the mobile apps analytics firm App Annie showed the latest data of the mobile apps industry, as well as their projections for the near future. The global consumer spending on dating apps grew by 190% from 2016 to 2018. Tinder successfully defended its number 1 position. 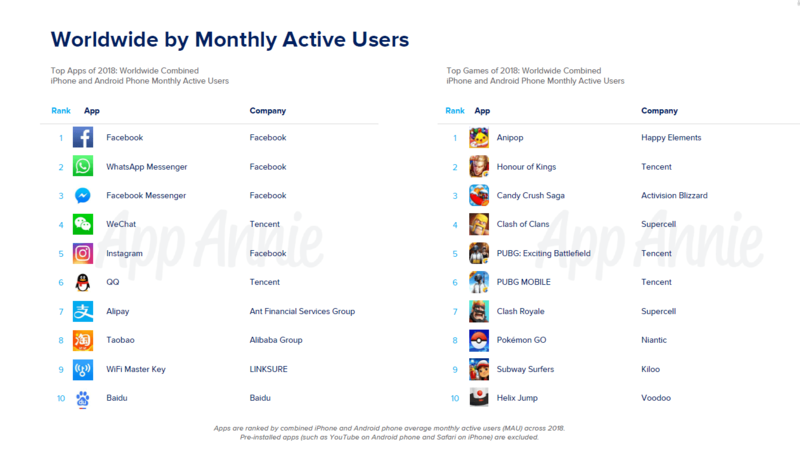 In terms competition between apps and between companies, three Facebook apps occupied the top three spots on the table of monthly active users. 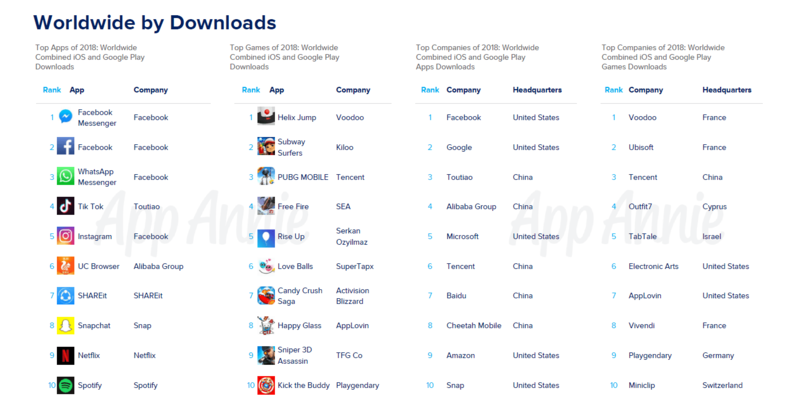 The same trio also took the top spots on the most downloads table, but Facebook Messenger edge Facebook to the top. Netflix netted the highest consumer spend on apps (followed by Tinder), while Sony’s Fate/Grand Order sat at the top of the games enjoying the highest consumer spend. 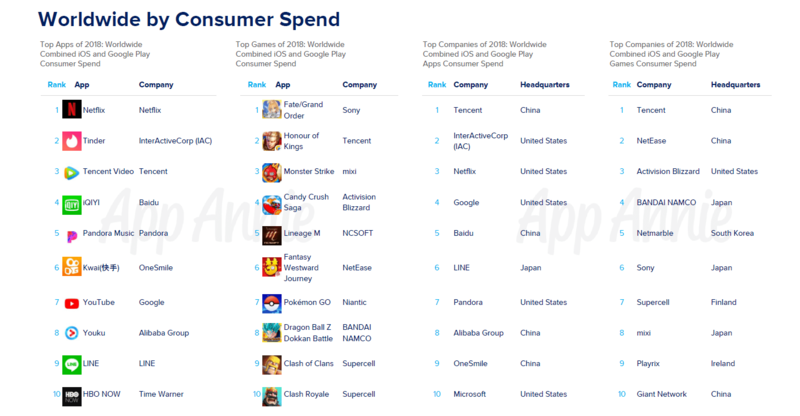 Tencent on the hand, thanks to its strong line-up of apps and games, was the company that consumers spent the most on in 2018. The firm predicted that in 2019, the total consumer spending in app stores will double that of the global box office, to reach $120 billion. When it comes to media consumption, the firm sees in 2019 that 10 minutes of every hour spent consuming media across TV and internet will come from video streaming on mobile. Increased availability of premium content and service will also help. Two years ago, we started hearing from some quarters of the industry that apps economy was dead. To read the latest data from App Annie, that pronouncement was gravely premature.